EPSON L805 6 COLOR WITH KIT WIRELESS PHOTO PRINTER (CHANNEL). Save up to 90%¹ on the cost of everyday, hassle-free printing with its integrated high-capacity ink tank. 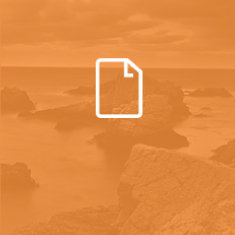 Photo print speeds – approximately 12 seconds per photo². 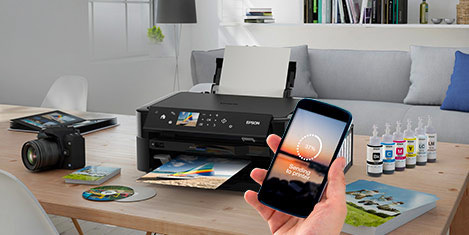 Wi-Fi connectivity with Epson Connect³ makes printing from smartphones and tablets easy. Combined with its compact, space-saving design, this allows to place you to place the printer almost anywhere. Epson-genuine ink bottles make it easy to refill the ink tank with their clear labelling and drip-free nozzle. For more information visit www.epson.eu/itssavings. For test conditions, please visit www.epson.eu/testing. Quoted yields are NOT based on ISO/IEC 29102. 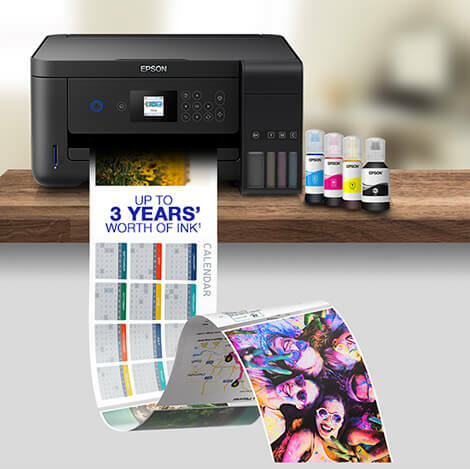 Print and share anywhere with Epson’s mobile and cloud services. Find out what sets our inks apart from the competition.